While home to a variety of animals great and small, the lions and tigers are no doubt two of the most popular sights at wild animal park African Safari, located in Japan’s Oita Prefecture. Both of those big draws have welcomed new additions this year, with both a tiny tiger and a little lion being born recently. They have fast become best friends! Followers of the park’s official Twitter account have been oohing and aahing over photos of the pair. 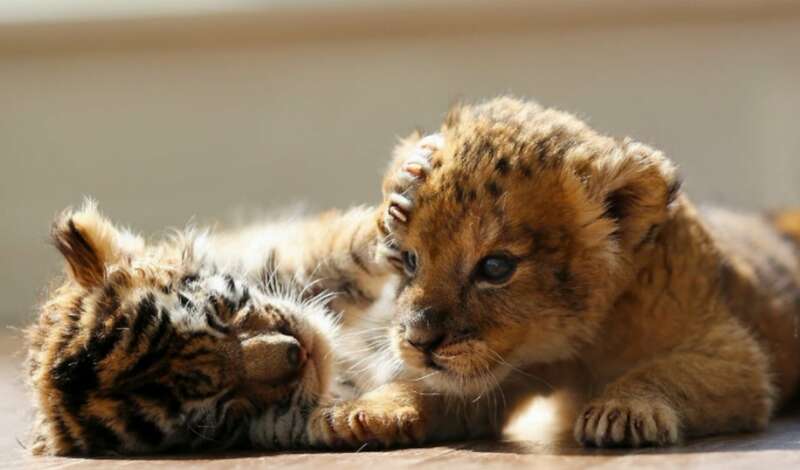 Over the last few weeks, African Safari has really been melting hearts by sharing a stream of photos showing the lion and tiger cub cuddling, playing, and generally acting like big cat best buds. Tiger hugs look every bit as awesome as bear hugs. As a further example of how their hunter instincts are yet to fully kick in, other photos show the young tiger frolicking with furry friends who could also function as food. But just like humans sometimes have to part ways with their childhood friends, so too is their time together limited. Eventually, they’ll be placed in the separate habitats for their respective species, a move which African Safari says will probably happen about two months from now.